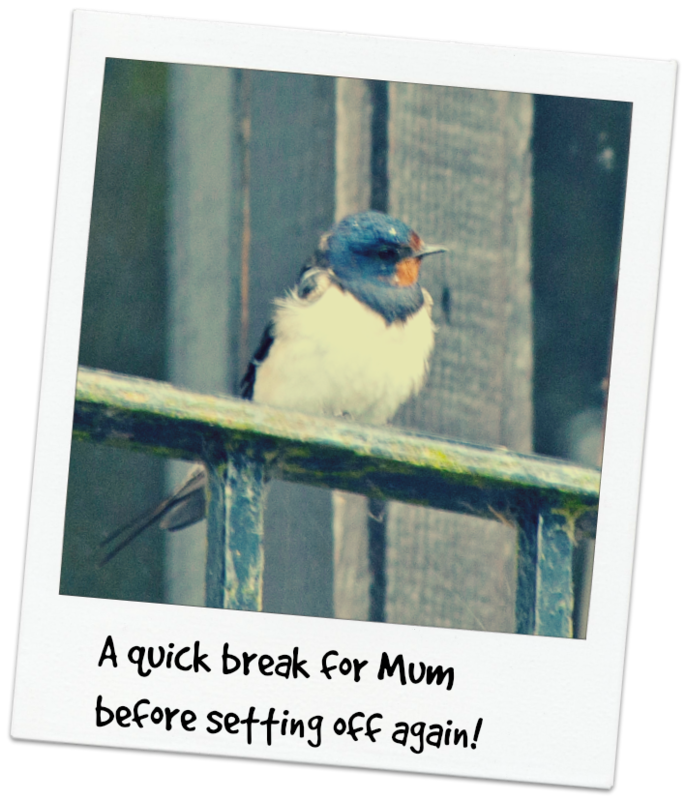 The thing I love most about this time of year is seeing the amazing, extremely impressive acrobatics of the swallows gathering together in preparation for the big trek to warmer parts of the world (lucky buggers!) Thanks Auntie Jane for this interesting post about these athletic birds. If you are a regular reader of the Gumby Legacy, then it’s very likely that you walk the Earth with your eyes wide open, ears pinned back, smell the soil after the rain & sense a change in the seasons. 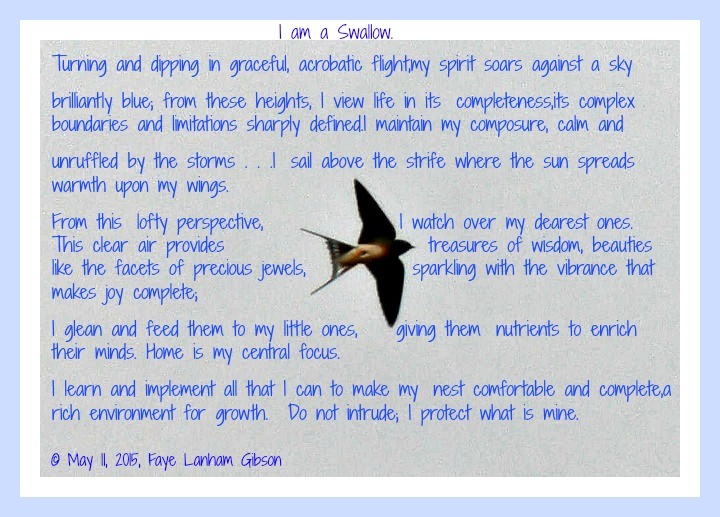 No doubt, we all have our own special creatures & plants that we feel a particular connection to & the Swallow is particularly special to me. From their arrival in Europe around March until they leave us around October you can spot them wherever there is a good supply of airborne insects, a clear flight path & water are perfect habitat for them. They are swift on the wing & it can be hard to make out their plumage as they flash above us, but they are distinguishable from their cousins the Swifts & Martins by their rusty-red throat (more striking in the males), glossy blue backs & white underbelly & most easily when they are on the wing their unique elongated, trailing tails that taper to a fine point. In June while we were in North Devon, we watched a close up low flying display as they swooped & soared over the River Lyn outlet into the sea at Lynmouth. We saw a lot of them & we were delighted to find that a family of swallows had made their home under the eaves of the hotel we were staying at & while the hatchlings (they normally have around 4 -5) noisy demands in the early morning did wake me up – I soon got off to sleep again! For me, one of the significant markers of the departing Summer is the gathering of the Swallows. In August, when the rain held off & the air was a flying buffet for these incredible aerial acrobats, I stood for ages watching as they swooped & rose effortlessly. It was, as always, a joy to watch them, although a little sad to know that a in the next six weeks or so they would start gathering together in flocks on the telephone lines & then, by October they would be gone…. Over the years, my respect for these little birds has grown enormously. Leaving the UK they will fly low during daylight hours travelling at around 17-22 mph, eating on the wing. They must cover 200 miles a day on their journey through western France & then soar above the Pyrenees mountain range which must be tough. Many will be lost due to starvation, storms & sheer exhaustion. After France they travel downwards on the east of Spain to Morocco & the last part of this epic flight will see then cross the Sahara. 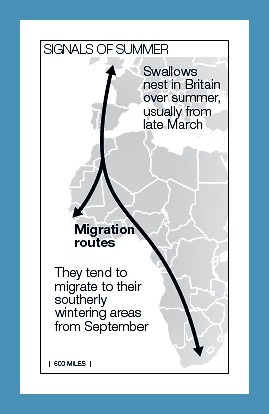 Their inbuilt tenacity & drive to make the annual migration somehow strikes me as brave, the stakes are high but they need to go in order to have any chance of survival. Their numbers are in decline in the Northern hemisphere & they are on the Amber list at the moment. Man doesn’t help much in terms of supporting migratory birds & the reprehensible “tradition” of “netting” along the migratory paths in Europe & North Africa is having an alarming impact on hundreds of species. There is a particularly special connection between the Swallows which visit the UK & South Africa – as the birds that grace us with their presence make their way back their every year. Gumby’s Grandad & I always used to ask them to say hello to our family in South Africa when they arrived at their destination & to watch out for them… These days I still ask them to keep everyone they know & love there safe.